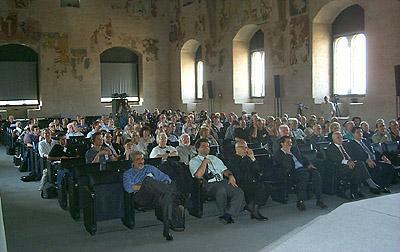 The Orvieto Worldwide Conference "Sindone 2000"
On the occasion of the Jubilee year declared by Pope John Paul II for the year 2000, and the Shroud Exhibition that was scheduled in Turin from August 26 to October 22, 2000, an international Shroud conference officially titled Worldwide Congress "Sindone 2000" was held in Orvieto, Italy. 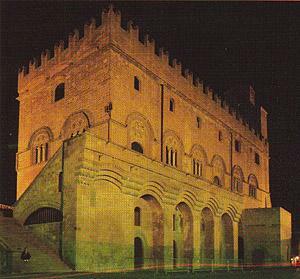 The picturesque city, about one hour from Rome, welcomed this meeting which was held in the Palazo del Capitano del Popolo, a beautiful medieval castle set high on an escarpment. But it is only medieval on the surface. 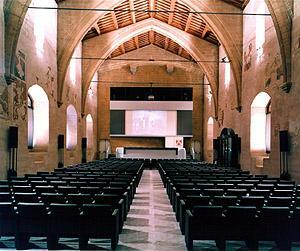 The castle has been converted to an ultra-modern conference center with a capacity of over 400 people. 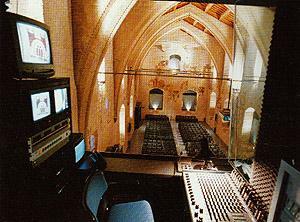 Readily available is every form of audio visual and video system, a wireless translation system, projection systems, air conditioning and every other comfort necessary for a successful meeting environment. 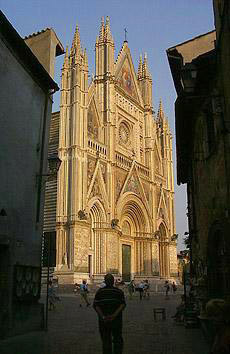 And the other buildings in Orvieto are equally spectacular. 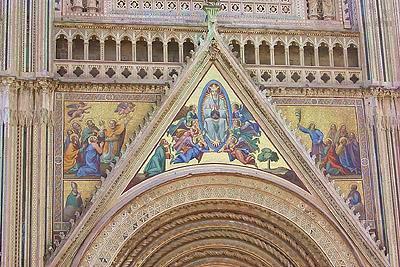 Most notable is the medieval cathedral or Duomo, covered with amazing mosaic scenes and massive in size, that dominates this beautiful town. I have included a few photographs (courtesy of Emanuela and Maurizo Marinelli) to give viewers an idea of the incredible surroundings this conference offered. 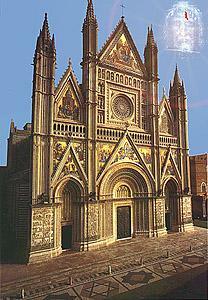 For more information about the Orvieto Worldwide Conference, including a downloadable copy of the official conference program in Italian, Spanish, French and English, visit the "Sindone 2000" Website (this link is to the English language page). Also available (since April 2002) is the three volume printed Proceedings of the conference. G.D. Guerra: Is the "Volto Santo di Lucca" a copy of the Turin Shroud? A comparison between the two images made by computer? M. Whanger: The impact of the Shroud face on art works in the Middle East in the early centuries A.D.
A. Zingale: A devotional route to Turin Sindon from the 19th to the 20th century: Mother Maria Pia Mastena (1881-1951), the foundress of the Congregation of the "Religiose del Santo Volto"
M.A. Flores, A. Orozco Torres: Physical evidences of Christ Resurrection on the Shroud of Turin?